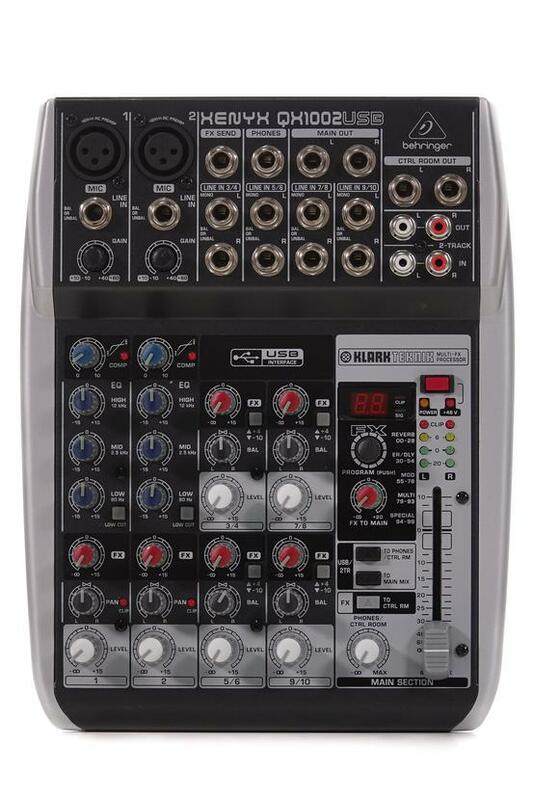 This QX1002 USB mixer is in great physical and working condition. There are only minimal signs of wear from previous use on the unit. Includes a power supply. XENYX Q Series USB mixers can handle your live gigs and provide the state-of-the-art tools to make stunning, professional-quality recordings. Select models feature dedicated, ”wireless-ready” integration for our new ULM Series USB microphones, making them the first of their kind in the industry.